What are the best PUBG weapons? It is no good hiding behind trees and making it to the final few players in a round of PlayerUnknown’s Battlegrounds only to realise you are left to dispatch the last few survivors with a pea shooter. 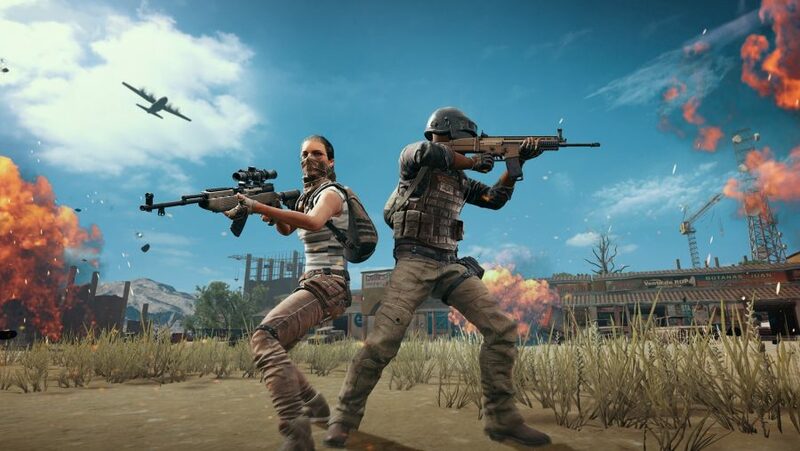 Amassing a versatile arsenal of the best PUBG weapons is your best shot at fending off the other 99 players who are all vying for a chicken dinner. 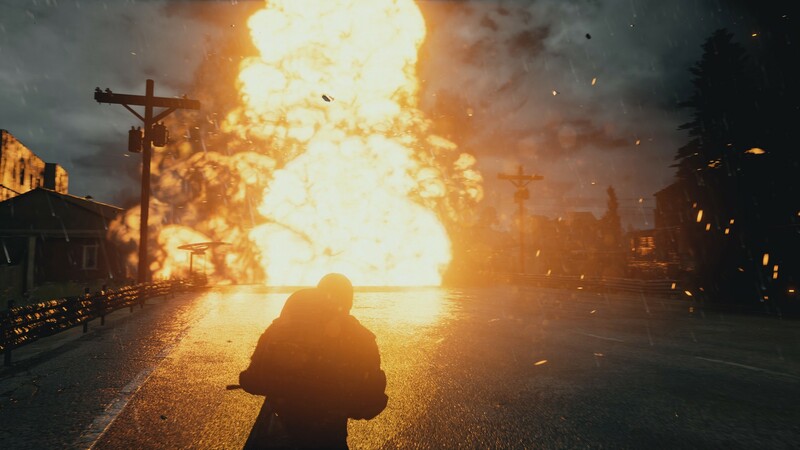 However, there are heaps of PUBG weapons to choose from, and as you can only carry two primary weapons, a pistol, a melee weapon, and a grenade, picking what to keep and what to discard is half the battle. There’s also a lot more to consider when reviewing PUBG’s weapons than how long they take to drop an enemy or how accurate they are. Some rifles might lack some punch, but they more than make up for it in other, less obvious areas like bullet speed, which will mean less bullet drop and travel time. Likewise, some guns might not seem all that good at first, but become the best in their class with the right attachments. 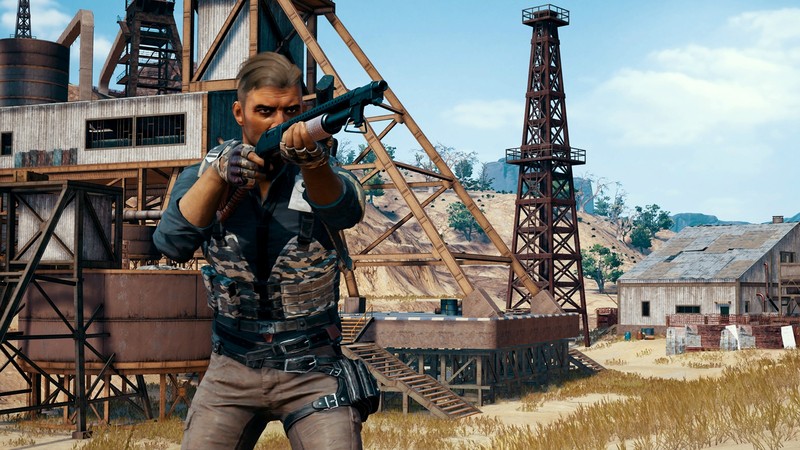 In an effort to make those decisions easier for you, we have assembled this PUBG weapons guide packed with details and tips on every gun in the game. Expect information on where you’ll find a specific firearm, what types of attachments it can carry, the ammo it uses, and the types of engagements it excels at. We’re nothing if not thorough. Struggling to find the SCAR-L on Sanhok? In the PUBG new map the SCAR-L has been replaced by the Chinese QBZ95, a modern bullpup assault rifle. This world spawn rifle has a slightly buffed spawn rate so it should be easy to find. Like the SCAR-L, the QBZ95 chambers a 5.56mm round that deals 43 damage per hit and carries 30 rounds in a standard magazine, which can be upped to 40 with the extended magazine attachment. The QBZ is remarkably similar to the SCAR-L in that both deal the same amount of damage and can carry a wide variety of attachments, however they do differ in two ways: the QBZ95 takes much longer reload, but will down quicker thanks to its slightly higher rate of fire. This DMR might lack damage owing to the 5.56 rounds it chambers, but it makes for it with exceptional muzzle velocity, a high rate of fire, and a bipod that nearly eliminates recoil when deployed. Sure, you’ll need to put a few rounds into a target before they drop, but the minimal travel time makes landing hits much easier, especially over long distances. The QBU can take muzzle, sight, and magazine attachments, making it reasonably modifiable for a DMR. Like the Mini 14, the QBU can stand in for an assault rifle if the RNG has been particularly cruel to you, but where it really excels is between medium and long-range firefights. 5.56 rounds are also very common across Sanhok, ensuring you’ll always have a good supply of ammo. 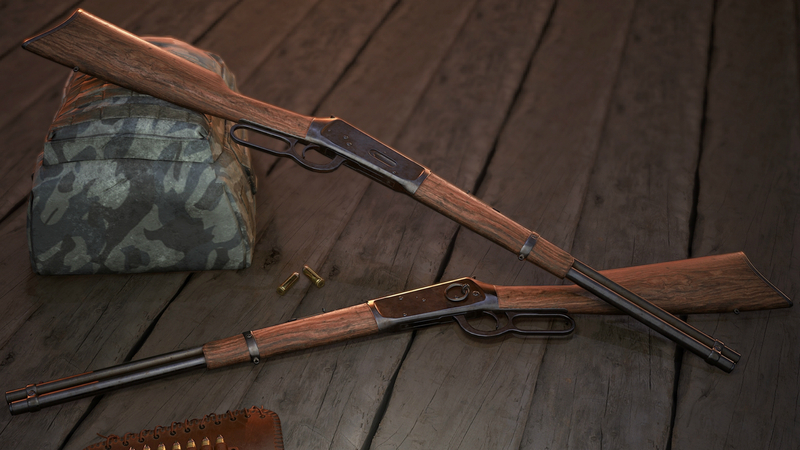 It is hard to place this antique rifle into any PUBG weapons category: it cannot take any attachments, it deals reasonable damage, and it is lever-action. Since no scope will fit this rifle, its practical range is relatively short. However, the Win94 does boast high bullet velocity and enough damage to put an enemy down in a few shots. Unfortunately, the lever-action means this rifle takes as long as the 98 Kurz to fire consecutive shots, so a missed shot can be a death sentence with this rifle. So, when should you use the Win94? The Win94 excels at mid-range where you can take time to place each devastating shot, but only if you cannot find a better DMR or sniper rifle. The Win94 is exclusive to the new Miramar map. This stubby double-barrel shotgun the desert-themed PUBG new map, Miramar. Its range is terrible, but nothing compares when rounding a corner. Of course the main reason you will want to get hold of this boomstick is because it occupies a sidearm slot, which means you do not have to fill one of your primary slots with a shotgun. This Miramar exclusive revolver is the six-shooter we all wanted the R1895 to be. For starters, the R45 comes with a speed loader as standard, which means reload times are slashed. It might not pack quite as much of a punch, but the iron sights make it a surprisingly good sidearm, particularly for mid-range engagements. 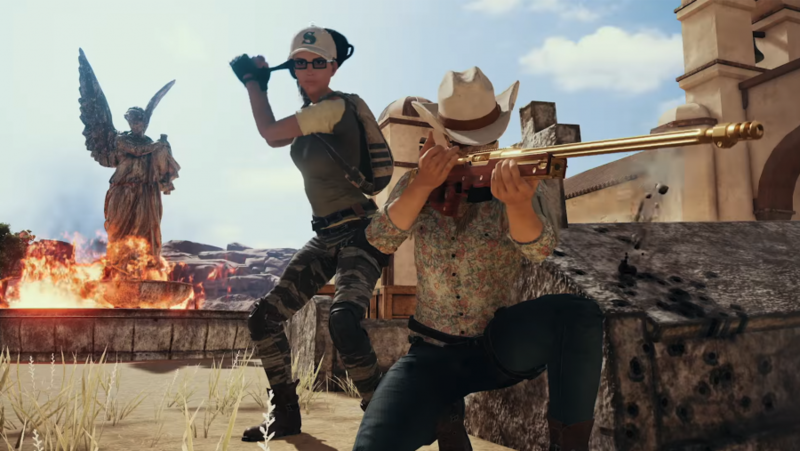 There aren’t many burst-fire assault rifles among the myriad PUBG guns, which is why PUBG. 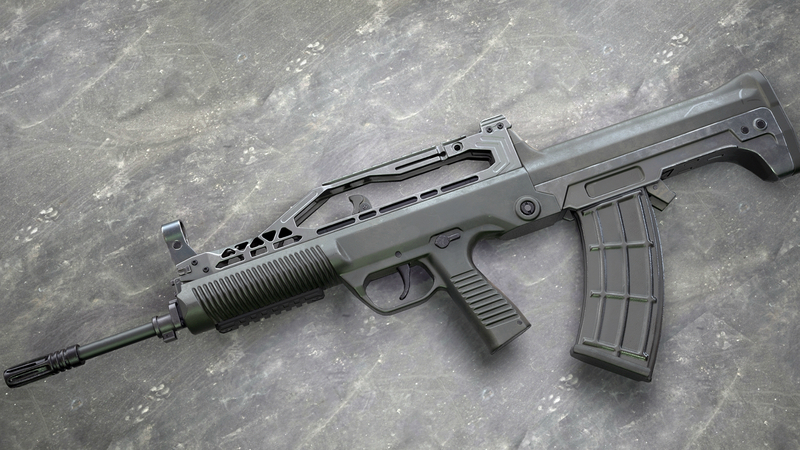 Corp added the Mk47 Mutant, a single or burst-fire assault rifle with superb accuracy. The Mutant deals the same per bullet damage as the AKM, but with the accuracy of it’s two-round burst fire mode, it can be lethal at mid-range. The Mutant also boasts both upper and lower rails so you can outfit it with a bevy of attachments that extend its effective reach. Just don’t rely on in it close-quarters as most fully automatic weapons will outstrip it in terms of damage per second. This modern Polish assault rifle offers stopping power that’s just shy of the AKM, but on a more stable and versatile platform. 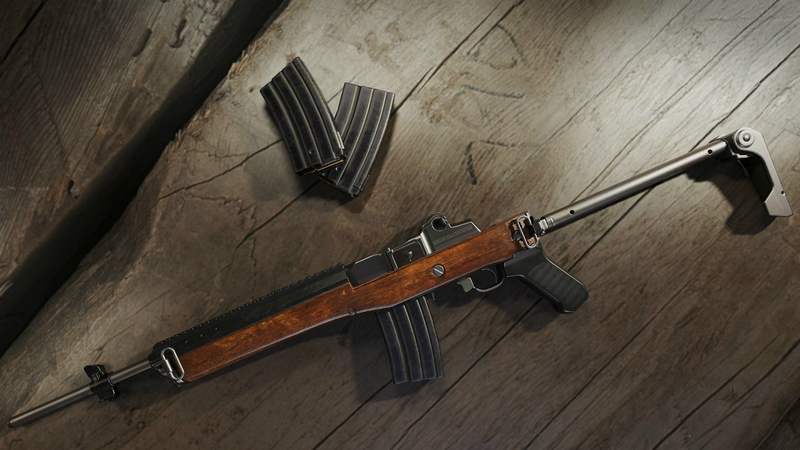 Unlike the AKM, the M762 can take grip attachments, allowing you to alleviate some of the recoil if you have the loot. While it’s stopping power doesn’t quite match that of the AKM, its rate of fire is much higher, closer to that of the formidable Groza, so the M762 is actually much more deadly if you connect a few shots. As you would guess from the 7.62 bullets, the AKM packs a punch for a fully-automatic assault rifle. Stick to semi-automatic fire for medium- and long-range engagements as the recoil will prove too difficult to manage. The AKM can only accept a muzzle, magazine, and sight attachment. Given its ability to kill armoured targets with five shots we recommend a sight as it can make the AKM devastating in the right hands. Currently, the AUG A3 can only be found in airdrop crates, so getting your hands on one is pretty difficult. Decent burst recoil makes this assault rifle highly effective up to medium range. 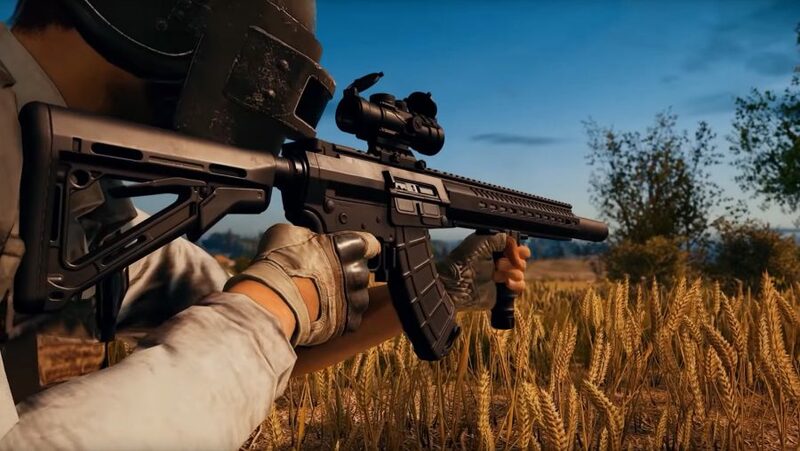 It is also one of the more versatile PUBG weapons when it comes to attachments and can be fitted with most sights, a variety of muzzle attachments, extended and quickdraw magazines, and grips. Another assault rifle that can only be found in airdrop crates, the Groza is a real gem and nearly unrivalled in terms of its damage per second (DPS) rating. 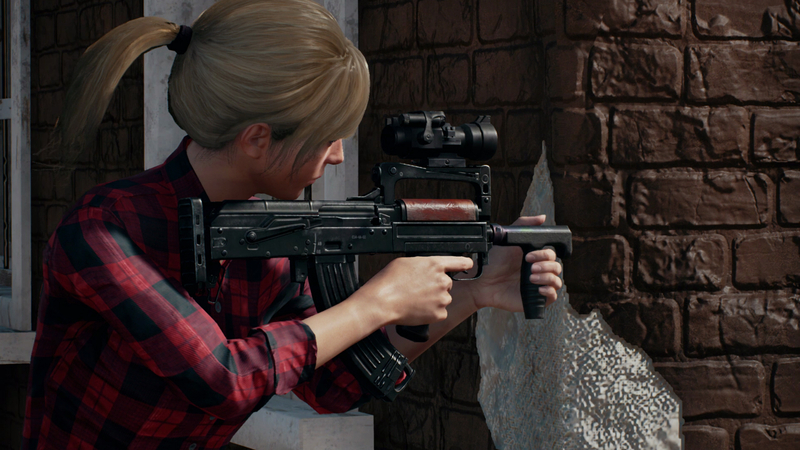 As it chambers the same 7.62 cartridge as the AKM every shot deals a lot of impact, but where the Groza excels is in its rate of fire: you can unload 750 rounds per minute with the Groza compared to the AKM’s 600 rounds per minute. 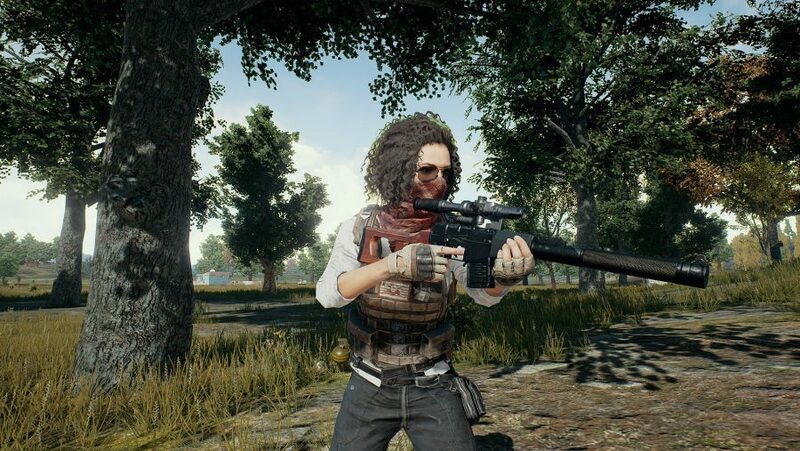 Muzzle, mag, and sight attachments are available for the Groza – as it has a lot of recoil, it is advisable to gear this PUBG weapon as if it is a submachine gun. Solid damage, low recoil, high bullet velocity (which means low bullet drop), and plenty of scope when it comes to which attachments you can plug onto this notorious rifle: the M16A4 is a beast. However, a lot of players ignore it due to its lack of a full-automatic fire mode. To make up for that, you can switch this PUBG weapon to burst fire for a DPS rating close to that of the Groza – just bear in mind the delay between bursts, which makes the M16A4 tough to use up close. Take your pick of attachments for the M416: muzzle, magazine, stock, lower, and upper rail attachments can all be fitted. Other than that, the M416 does not have many qualities to brag about. It can fire faster than the SCAR-L and has some of the best iron sights in the game, but on the down side it has abysmal impact, meaning your enemy’s aim is barely compromised when they receive damage from this PUBG weapon. It might have the lowest DPS rating of any assault rifle in PUBG, but the SCAR-L makes up for it with its fully-automatic recoil pattern, which is comparable to the amount of kick produced by the M16A4 when firing in single-shot mode. While, theoretically, an enemy with a Groza should win in a duel, in practice you will have a much easier time landing all of your shots and may come out on top because of it. You can also outfit the SCAR-L with most AR attachments, though it is worth noting that the iron sights are very limiting, so a sight or scope should take precedent when looting buildings. On paper it is tough to find much worth celebrating for this designated marksman rifle. Its damage is not particularly high, it has a fair amount of kick, and a very slow rate of fire. However, the Mini 14 has exceptional bullet velocity, better even than that of the AWM. That means good travel time and low bullet drop, making long-range engagements a breeze. The Mini 14 is technically classified as a sniper rifle and so can be fitted with a variety of scopes, as well as some magazine and muzzle add-ons. Want to hit harder than an assault rifle without compromising your rate of fire? The SKS is the ideal middle ground between the two popular primary PUBG weapon categories. You can also find the SKS around the map, making it a weapon worth getting good with. Its other bonus is that it can accept attachments to all five slots, so if you take the time to improve, this rifle it is easily one of the best long-range guns in the game. Arguably the best sniper rifle in the game, there is a good reason for the AWM being a rare drop from airdrop crates: it is the only non-shotgun with a power rating of 100. That translates to a one-hit kill on unarmoured enemies, and two shots if they are wearing armour; headshots against any level of helmet are a guaranteed kill. In addition, the AWM also has next to no bullet drop, so you should have no problem landing those lethal .300 magnum shots. If you are looking for a step up from the SKS in terms of range and stopping power then the Karabiner 98 Kurz is an excellent sniper rifle. Its vintage nature means a cripplingly slow fire rate, but it more than makes up for this with its accuracy at long range and two-hit kill potential for all levels of armour. In terms of attachments, the 98 Kurz can accept all scopes, basic muzzle attachments, the sniper rifle cheek pad, and bullet loops to increase your reload speed. 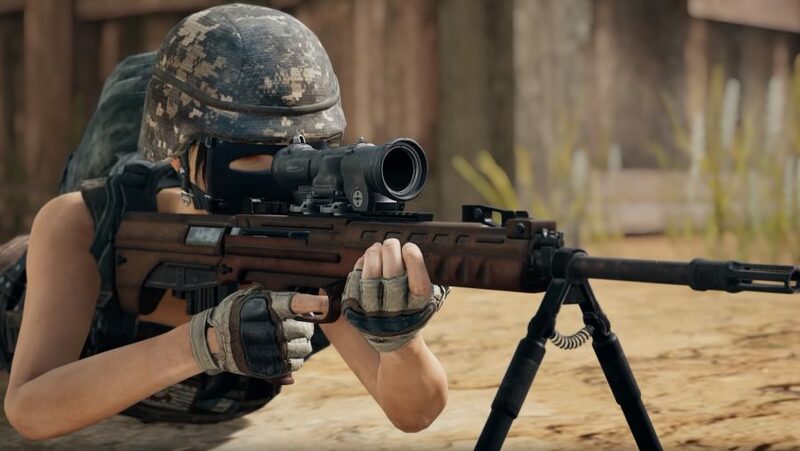 You can find this sniper rifle across the map and in airdrop crates, making it the most popular sniper rifle in PUBG. A scarce weapon when it comes to spawn rates, the VSS Vintorez matches its rarity with some exotic PUBG weapon characteristics. For starters, if you find this fully-automatic, stubby sharpshooter, you will not then have to search for a scope and suppressor: it comes with both permanently attached. It also fires 9mm bullets, which are sub-sonic. Couple that with the suppressor and enemies stand no chance of detecting where your shots are coming from. You pay for those stealthy perks with incredibly low range, damage, and velocity for a sniper rifle. Due to that, you are best off using this sniper as an assault rifle or submachine gun. You can add a cheek pad and standard magazine attachments to the VSS. Better than the Karabiner 98 Kurz, but not as good as the AWM – the M24 is a solid, bolt-action sniper rifle. Unlike the 98 Kurz, you can only get the M24 in airdrop crates. Another sniper rifle that can only be collected from airdrop crates, the Mk14 EBR is the beefier cousin of the SKS – decent sniping capacity with a fire rate that makes it competitive at medium range, too. The Mk14 EBR has a party trick, though, which is that you can switch it to fully automatic in a pinch. You can also fit sights, stocks, muzzles, and mags to the EBR to suit your battle royale needs. Lastly, this punchy sniper comes with a bipod underrail attachment that makes finishing off targets at long range simple. The AWM might get the plaudits for being the most powerful long-range weapon in the game, but when it comes to upping your chances of getting a chicken dinner, the M249 LMG is the gun to hunt down. You can only find it in airdrop crates but this is a gun worth exposing yourself to enemy fire for. Being able to fire 100 bullets in less than ten seconds is useful for everything from suppressing enemies to clearing out buildings. To hammer the point further, you can cause 443 points of damage per second. On top of that, the M249 also has better bullet velocity than all other assault rifles, making it easy to land hits at long range. You can only attach different sights and scopes to the M249, though, so if you cannot handle its stats then the only thing that can help you is practice. Like the M249, the DP-28 can only have sights and scopes as attachments. Unlike the M24, however, you can find this Russian LMG as a world drop, making it much safer to acquire. It packs a punch with every 7.62 bullet, but you can manage the substantial recoil by deploying the integrated bipod. Its slow rate of fire and low bullet velocity make its recoil very manageable at short and medium ranges. This PUBG weapon is the epitome of spray and pray. Due to its poor damage you will only want to use the Micro Uzi early into a match, where its high rate of fire should shred unarmoured enemies looting as they search through buildings for loot. It is nigh-on impossible to control while aiming down sights, so stick to hip fire. The Micro Uzi can be fitted with a stock, muzzle add-ons, and various magazine tweaks. Ah, the Chicago Typewriter – if you want to feel like a mobster then nothing beats the Tommy Gun. Hard-hitting .45 rounds make this one of the most powerful submachine guns in Battlegrounds, but an inability to attach sights and some unpredictable recoil mean this weapon is only useful in expert hands. 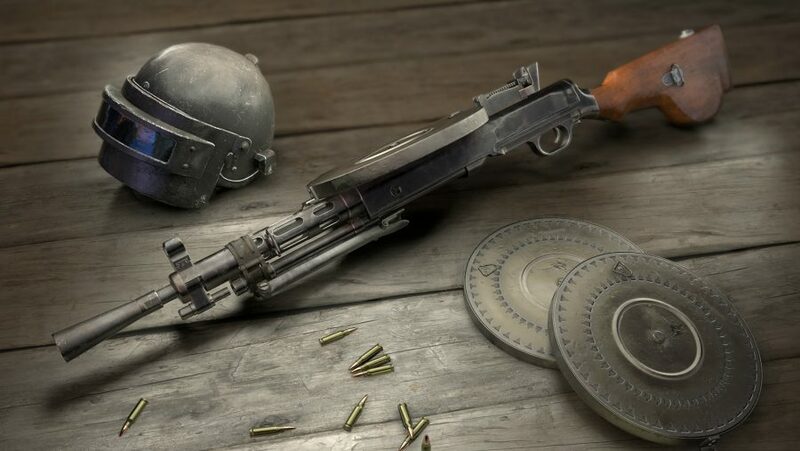 Extended mags are a must as they double the Tommy Gun’s magazine capacity without adding any time to the reload speed. You only get 13 rounds per magazine for this close-quarters killer, so make extended magazine your priority when looting. Fortunately, the Vector boasts moderate damage, high rate of fire, and very low recoil, so landing those hits does not take an expert marksman. That said, exercise caution when pulling the trigger as it takes just over a second to empty a standard magazine. The Vector also benefits from being able to receive a grip, various magazine types, muzzles, sights and scopes, and a stock. This is one of the best PUBG weapons for close encounters. 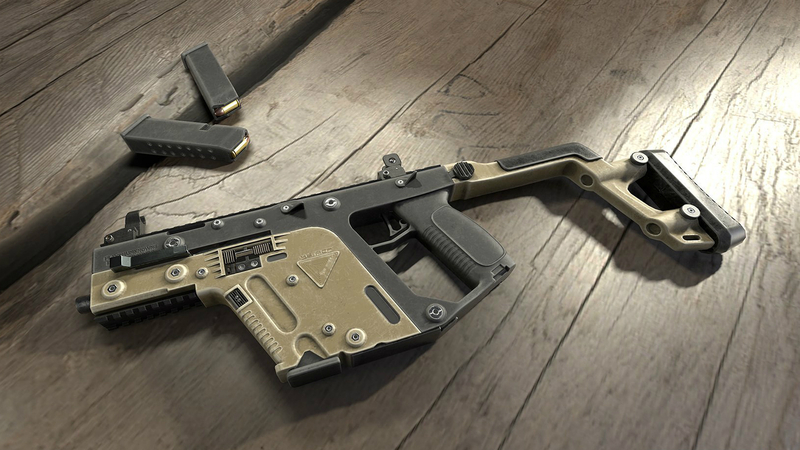 One of the most common PUBG weapons, the UMP9 will serve you well between close and medium range, but as it serves as a bridge between SMGs and assault rifles it does not excel in any particular situation. Fairly manageable recoil with a grip and compensator attachment equipped, high damage, and common 9mm rounds make this a stalwart of the submachine guns category. A semi-automatic shotgun sounds like the perfect gun for urban clashes, but the S12K serves a niche purpose: squad wipes. Very poor range means you can only make the most of its semi-automatic fire mode when you are in the room with your target. At this range, however, its magazine capacity, damage, and rate of fire make it devastating, even more so if you can find an extended magazine for it – if you are looting apartment buildings then the S12K is a good ally. Unlike other shotguns, the S12K can accept a number of sights and muzzle attachments. When it comes to shotguns, most people think of unrivalled stopping power in close quarters – to that end, the S1897 (or Trench Gun) delivers, and then some. One-shot kills against unarmoured enemies up close make this a great secondary weapon, particularly when looting buildings. This double-barrel shotgun is for players who never miss. The ability to fire two rounds almost simultaneously make this by far the deadliest weapon in the game when it comes to combat in tight areas. Of course, you will have to do a lot of reloading with this shotgun, and while its reload speed is decent, it can make it an awkward companion in squad servers. Agonisingly slow reload times, low velocity, and low range make the Crossbow a daunting weapon to use. But it can occasionally be worth the risk thanks to its ability to instantly kill with a headshot against all helmet types, as well as with torso shots to unarmoured enemies. The only attachment worth acquiring for the Crossbow is the quiver, which reduces the reload time. The P1911 bridges the gap between most modern handguns and revolvers, providing ample stopping power at the cost of a low magazine capacity and mediocre rate of fire. If you cannot find any decent PUBG weapons early into a round then this will serve you surprisingly well. 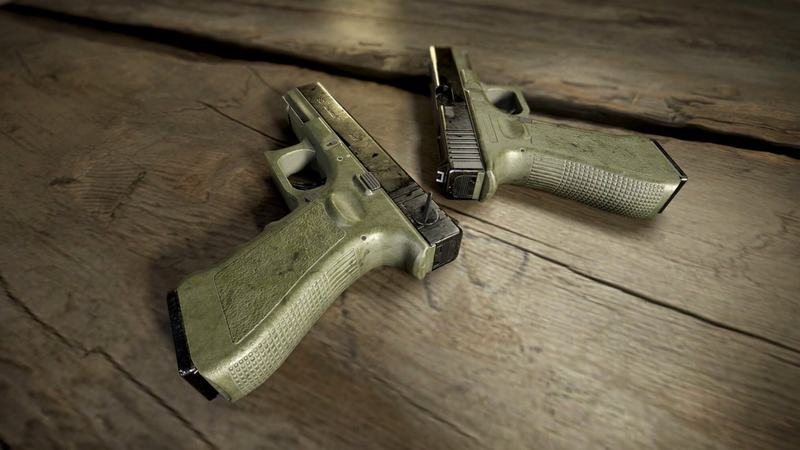 The P92 has a slightly lower rate of fire when compared to the P18C but a little extra stopping power to make up for it. Do not waste time deciding between the two. Low damage might hinder the P18C, but as it boasts a high magazine capacity and the category’s highest rate of fire, you will find the P18C is good at suppressing and finishing off enemies. If you can land every shot then the revolver might save your life, if not then the low rate of fire, painfully slow reload times, and heavy kick of this sidearm can be insufferable. Swap out to fists and go H.A.M. – you will have a lot more fun at the very least. With an effective fire range of 50 metres, the option of fully automatic fire, and heaps of attachment slots ensuring you can improve its stats, the Skorpion is an excellent pistol to carry at all stages of the game. Use it for close-quarters battles at the very start of a match when enemies haven’t had a chance to grab armour and you’ll find it a handy, pocket-sized SMG. Got an enemy pinned down? Lob a ‘nade their way and flush them out of their hiding spot. These throwables are terrifyingly lethal and great during the final phase of a match where forcing your opponents out of position is so crucial to winning. The Molotov Cocktail is an odd throwable and is rarely more useful than a Frag Grenade. It does deal burning damage to enemies over a short duration, but it is more useful for area denial: blocking access to staircases, denying flanking routes, and stopping enemies from hopping into vehicles. One neat quirk of the Molotov Cocktail is that it can instantly destroy doors, which could be helpful for rushing campers. The Smoke Grenade is ideal when you are pinned down behind cover. Pop this throwable to cover your movement between cover or escape the situation entirely. Alternatively, you can use the Smoke Grenade as a decoy. On paper, the Stun Grenade should be an essential tool for clearing rooms, but the disorienting effect triggers inconsistently, making it hard to recommend. If you are going to waste time deciding between melee weapons, then this is the best option available to you. Why? The Pan boasts an unusual trait: the cast iron skillet is bulletproof and so protects your posterior from damage when it is not equipped. That is right: this melee weapon can literally save your arse. It also deals more damage than the other melee weapons, but we prefer it as extra armour. Helpful for Gordon Freeman cosplays but not much else. The Crowbar, like all melee weapons, is a last resort PUBG weapon. It might look deadlier than a crowbar but the machete will deal exactly the same damage. Effective against unarmoured foes who do not know you are behind them. The Sickle is mainly in PUBG as an a neat reference to the movie that inspired the game, Battle Royale.